For a young family man who always wanted to sail fast, but more recently required a substantial amount of home comfort in his catamaran. This yacht was lengthened and widened from the original 14.0m plan. Finally we decided to also increase sail area. 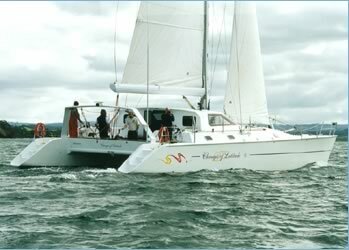 The end result is an excellent safe family catamaran, with performance figures up and down wind that fully satisfy the owners.